We’ll take out the metal from your mouth. 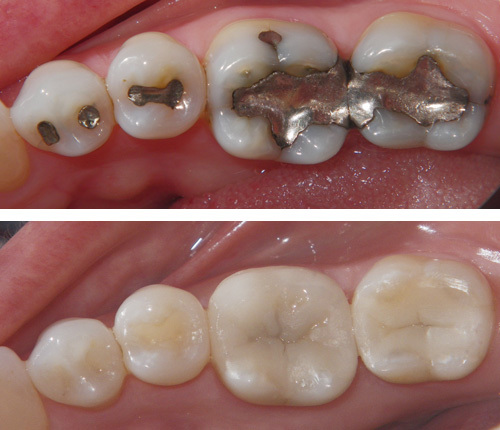 Large silver restorations (amalgam) can fracture your teeth, leave you in pain and possibly even leave you needing a crown. Let us help you replace them with metal-free, white fillings. We’re so confident you’ll see the value the third one is on us. Smile brighter with a take-home bleaching kit! Your smile shouldn’t just look its best, it should be at its best. That’s why we offer a whitening special for after you’ve had a regular cleaning. So why not make your best a little better with a whiter smile?